June's Democracy on Tap event, held at Roxy's Downtown, focused on the ins and outs of running for public office. There's a lot of strategy, and a lot of details, that go into it. Even if you never plan to try it out yourself, knowing the process can be useful. May's Democracy On Tap event, held at The Monarch in Delano, focused on federal and state legislation--like the Freedom of Information Act, Kansas Open Records Act and Kansas Open Meetings Act--that the public can use to be more informed. There's a lot of information out there--if you know where to look. The March Engage ICT event was held on Tuesday, March 21 at The Anchor | 1109 E. Douglas from 5:30 to 7:30 p.m. We discussed how the problem of homelessness reaches beyond those directly affected and into the community at large. The February Engage ICT event was held on Tuesday, February 21, at Distillery 244 located at 244 N. Mosley. We're used to hearing about the importance of shopping local, but when was the last time you were asked to engage local? 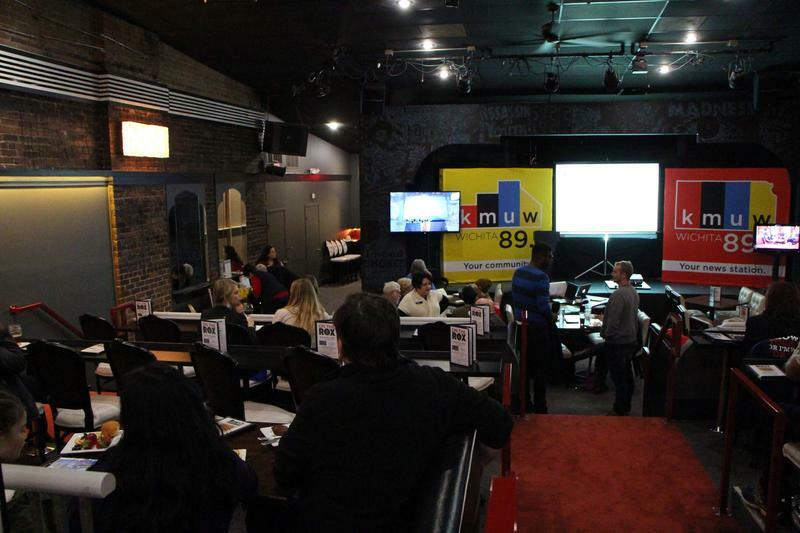 For February's Democracy On Tap event, KMUW brought together a panel of city and county officials to discuss civic engagement on the local level. Attendees learned what the city and county actually do -- and how we can get involved. January is National Human Trafficking Awareness Month, and for our first Democracy On Tap panel of the year, we featured experts who discussed the issue and its presence here in Kansas. Engage ICT’s last Democracy On Tap panel of 2016, held at the Monarch, looked at the impact of the year’s elections from political, social and artistic perspectives. With so much of the past year focused on politics, our panelists discussed where we go now.